Denver metal/doom conquerors KHEMMIS advance their third LP, Desolation, this week issuing a visualizer video for the album’s triumphant “Bloodletting.” The album is nearing June release through 20 Buck Spin in North America, with Nuclear Blast handling international territories. While KHEMMIS is undeniably influenced by doom and classic metal, to tag them with those labels doesn’t do justice to what’s accomplished on Desolation; a perfect representation of modern heavy metal in 2018 that integrates the past in a way only possible in the present. 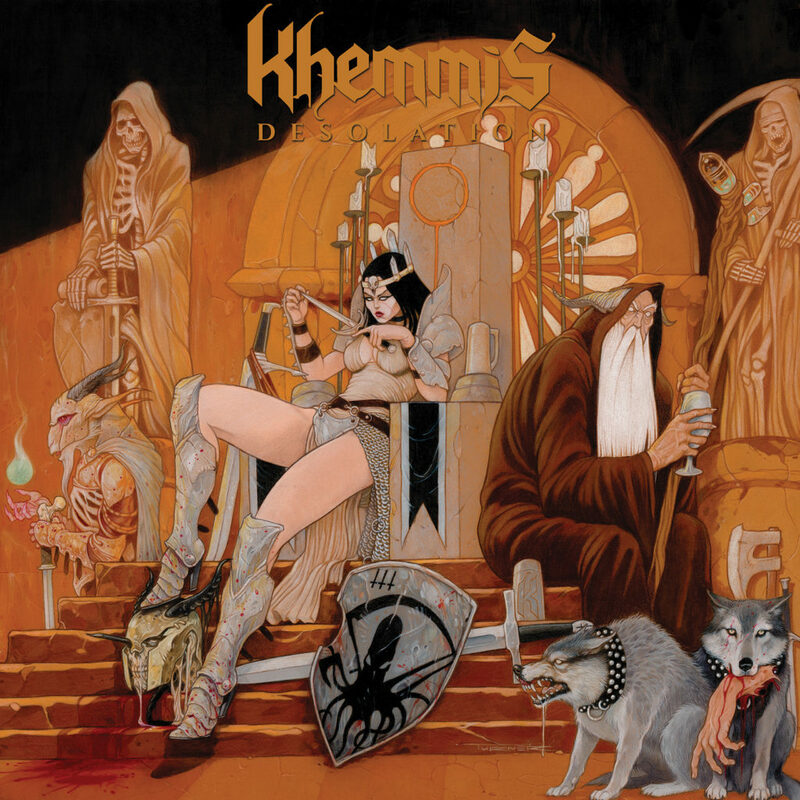 Desolation is not just the best KHEMMIS record to date but a testament to the quality that heavy metal is still capable of. Delve into KHEMMIS’ “Bloodletting” at THIS LOCATION. “Bloodletting is also now streaming on all digital purchase points. Also see the Italo Ganni-directed video for “Isolation” HERE. 20 Buck Spin’s 100th release, Desolation is completed with cover artwork by Sam Turner (Black Breath, 3 Inches Of Blood, In The Company Of Serpents). The album will see release on CD, digital, and LP – with a foil-stamped jacket and 8” inch lyric booklet – on June 22nd. Find North American preorders through 20 Buck Spin’s webshop HERE, Bandcamp HERE, and iTunes HERE. Internationally find the album through Nuclear Blast. Following their recent performances at Roadburn, Doom Over Leipzig, and most recently, yesterday at Maryland Deathfest, KHEMMIS prepares for their next wave of tour dates, playing Somverville with Wormwood and Brooklyn with Today Is The Day. June into July sees them pulling one-off shows in Los Angeles, Chicago, and Denver, and the end of July sees KHEMMIS taking part in Migration Fest and Heavy Montreal, with more tour dates to be expected. 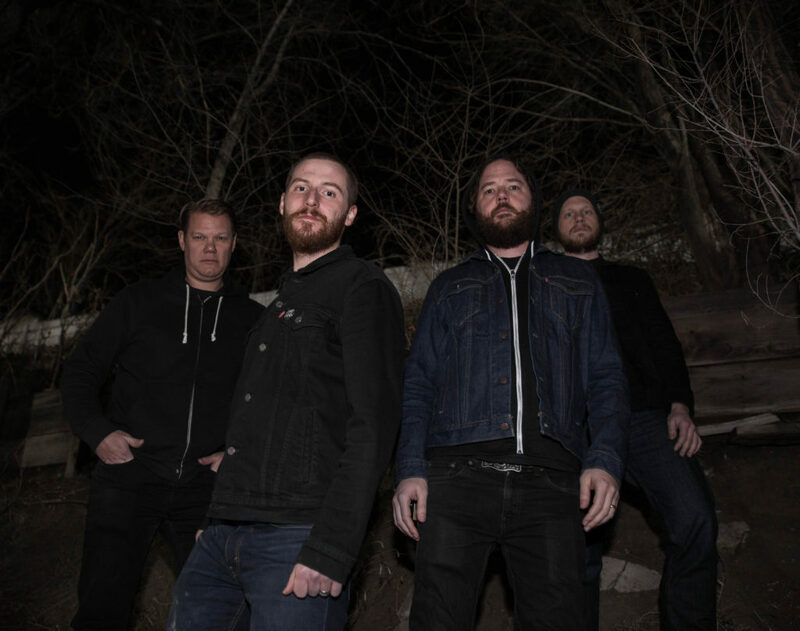 Anticipation was high for the release of Hunted in 2016, the sophomore album from Denver’s KHEMMIS, and follow-up to acclaimed debut, Absolution. Rather than the all-too-common sophomore slump, KHEMMIS raised the stakes and blew everyone away with their rapidly progressing songwriting and production quality, culminating in Hunted being named Album Of The Year for 2016 by Decibel Magazine. Now, in 2018, after wrapping up the Decibel Magazine Tour with Enslaved, Wolves In The Throne Room, and Myrkur, the excitement for KHEMMIS’s third album, Desolation, is palpable across the metal spectrum. Fortunately, when you hail from a place known as the Mile High City, lofty expectations come with the territory and the band has created what will come to be known as the definitive KHEMMIS classic. From the stadium-sized opening notes of “Bloodletting” it is immediately evident that KHEMMIS is again putting distance between themselves and their earlier influences to inform a sound that is singularly their own. “Isolation” – which the band recently aired live on the Decibel Tour – is the album’s lead single and most immediate track, with the classic metal melodies the band have become revered for shining throughout. On epic closer “From Ruin” and throughout the entirety of the album, the lead vocals and melodies of Phil Pendergast are the clearest, most powerful and best arranged that the band has achieved. Working for the third time with Dave Otero at Flatline Audio in Denver, the band and producer now have the familiarity and mutual experience to arrive at the perfect symbiosis of songwriting, arrangement and production value.